Three US carriers are now in the Pacific amid tensions with North Korea. 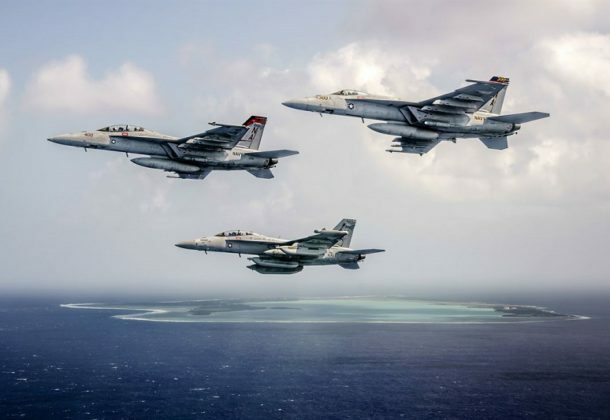 Besides four squadrons of different F/A-18 Hornet and Super Hornet variants, two squadrons of Seahawk helicopters, one squadron of E-2C Hawkeyes, one squadron of EA-18G Growlers, and one squadron of C2-A Greyhounds, see what else the carriers bring with them, reports Business Insider. President Donald Trump is planning to visit the region for the first time next week, Navy Times reports. Marine Corps Times says many troops in the Pacific don’t think war with North Korea is imminent. “If you walk around the streets of Seoul you wouldn’t think for a second anyone is nervous of war,” said Capt. Phil Hilaire, a US Army operations officer. Former Secretary of State Henry Kissinger said that a nuclear-armed North Korea is about to kick start an arms race in which “nuclear weapons” will “spread in the rest of Asia,” reports Newsweek. South Korea will buy more weapons from the US, develop more advanced missiles, and receive a more consistent presence of US military nuclear weapons to defend against North Korea, reports Military Times. In Beijing’s latest move to secure its presence in the disputed waters, China has carried out a test flight of drones to provide rapid cargo delivery to remote islets in the South China Sea without airstrips, reports South China Morning Post. Breaking Defense says there are maybe half a million sea mines in arsenals around the world. To find and clear them, rather than rely on a small fleet of Littoral Combat Ships, the US Navy now wants at least some mine-hunting gear on vessels ranging from modified oil tankers to catamarans to aircraft carriers. Michael Griffin, a Bush-era NASA administrator, is the nominee for deputy undersecretary of acquisition, technology and logistics at the Pentagon, reports Defense News. Ellen Lord, the current undersecretary of AT&L, will move to the undersecretary of defense for acquisition and sustainment position. The Sikorsky CH-53K King Stallion celebrated its second birthday last week. Aviation Photography Digest takes a look at the project and how it has moved forward. Greece will upgrade its F-16s rather than buy new F-35s, reports The Motley Fool. That country’s 155 F-16C and -D variant fighters form the backbone of the Greek Air Force. Daily Mail reports that Great Britain’s leading test pilot says critics of the new state-of-the-art F-35B Lightning II would be silenced “very quickly” if they realized how powerful the new planes were. A new study from the Iraq and Afghanistan Veterans of America, a nonpartisan veteran organization, revealed more than half say they know a fellow post-9/11 service member who committed suicide, reports UPI. The survey provides a glimpse into the challenges facing veterans of the wars in Iraq and Afghanistan. AT&T Mobility National Accounts LLC, doing business as AT&T Mobility, Hanover, Maryland (N00244-18-D-0001); T-Mobile, Bellevue, Washington (N00244-18-D-0002); and Cellco Partnership, doing business as Verizon Wireless, Basking Ridge, New Jersey (N00244-18-D-0003), are being awarded an estimated $198,700,000 indefinite-delivery/indefinite-quantity, firm-fixed-price contract for wireless services and devices in support of the Navy, Marine Corps, Army, Air Force, other Department of Defense agencies, and federal agencies. The contract will include a one-year base period and four one-year option periods which if exercised, the total value of this contract will be $993,500,000. Work will be performed at various locations throughout the US and percentage of work cannot be determined at this time. Work is expected to be completed by November 2018; if all options are exercised, work will be completed by November 2022. Fiscal 2018 operations and maintenance (Navy) funds in the amount of $15,000 will be obligated ($5,000 on each of the three contracts to fund the contracts’ minimum amounts) and funds will not expire at the end of the current fiscal year. This contract was competitively procured with the solicitation posted to the Navy Electronic Commerce Online website, with four offers received. 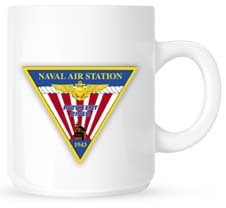 Naval Supply Systems Command Fleet Logistics Center San Diego, San Diego, California, is the contracting activity. Raytheon Missile Systems, Tucson, Arizona, is being awarded a $43,323,017 modification to a previously awarded contract (N00024-17-C-5409) for procurement of long lead material in support of fiscal 2017 Standard Missile-6 (SM-6) full rate production requirements and spares. Work will be performed in Andover, Massachusetts (35.6 percent); Wolverhampton, United Kingdom (29.1 percent); Middletown, Connecticut (17 percent); Anniston, Alabama (9.4 percent); Reisterstown, Maryland (2.2 percent); San Mateo, California (1.9 percent); Portland, Oregon (1.3 percent); San Jose, California (1.2 percent); Joplin, Missouri (1.0 percent); Dallas, Texas (0.5 percent); Tampa, Florida (0.5 percent); Warrington, Pennsylvania (0.2 percent); San Diego, California (0.1 percent), and is expected to be completed by March 2020. Fiscal 2017 weapons and procurement (Navy) funding in the amount of $10,959,524 will be obligated at time of award and not expire at the end of the fiscal year. The Naval Sea Systems Command, Washington Navy Yard, Washington, District of Columbia, is the contracting activity. Modern Technology Solutions Inc., Alexandria, Virginia, is being awarded an $88,677,534 competitive cost-plus-fixed-fee contract for advisory and assistance services for specialty engineering in support of technical, engineering, advisory and management support. This contract provides systems engineering services for directed energy; space; sensors; and, concurrent test, training, and operations engineering for the Ballistic Missile Defense System to defend regional interests, allies, and deployed forces against ballistic missile threats. The work will be performed in Huntsville, Alabama; Fort Belvoir, Virginia; Colorado Springs, Colorado; and Hanscom Air Force Base, Massachusetts, with an estimated completion date of October 2019. This contract was competitively procured via publication on the Federal Business Opportunities website with four proposals received. Fiscal 2017 research, development, test and evaluation funds in the amount of $618,025; and fiscal 2018 research, development, test and evaluation funds in the amount of $1,930,462 are being obligated at time of award. The Missile Defense Agency, Huntsville, Alabama, is the contracting activity (HQ0147-18-C-0003). URS Federal Services Inc., Germantown, Maryland, has been awarded a $63,997,562 modification (000218) to contract W52P1J-12-G-0028 for Army Prepositioned Stock (APS-2) logistics support services in Mannheim and Dulmen, Germany. Work will be performed in Mannheim and Dulmen, Germany, with an estimated completion date of Nov. 21, 2021. Fiscal 2018 operations and maintenance (Army) funds in the amount of $16,100,000 were obligated at the time of the award. US Army Contracting Command, Rock Island Arsenal, Illinois, is the contracting activity. KBRwyle Technology Solutions LLC, Columbia, Maryland, has been awarded a $12,269,262 modification (000125) to contract W52P1J-12-G-0061 for Army Prepositioned Stock (APS-4), logistics support services in Korea. Work will be performed in Daegu, Korea, with an estimated completion date of Nov. 29, 2018. Fiscal 2018 operations and maintenance (Army) funds in the amount of $12,269,262 were obligated at the time of the award. US Army Contracting Command, Rock Island Arsenal, Illinois, is the contracting activity. Hampton Roads Produce Distribution Inc., Virginia Beach, Virginia, has been awarded a $14,046,926 fixed-price, indefinite-delivery/indefinite-quantity contract for warehouse and distribution operations. This is a five-year contract with no option periods. This was a competitive acquisition with one response received. Location of performance is Virginia, with an Oct. 31, 2022, performance completion date. Using customer is Defense Logistics Agency. Type of appropriation is fiscal 2018 through 2023 defense working capital funds; $1,991,530 will be obligated using fiscal 2018 funds. The contracting activity is the Defense Logistics Agency Distribution, New Cumberland, Pennsylvania (SP3300-18-D-5001). Orbital Sciences Corp., Space Systems Division, Dulles, Virginia, has been awarded a $33,982,424 firm-fixed-price and cost reimbursement contract for long duration propulsive evolved expendable launch vehicle secondary payload adapter and extends Air Force Space Command’s standard service policy for rideshare, leveraging previous propulsive evolved expendable launch vehicle secondary payload adapter development. Work will be performed at Dulles, Virginia, and is expected to be completed by July 1, 2019. This award is the result of a federal business opportunities solicitation and two offers were received. Fiscal 2016 procurement funds in the amount of $33,982,424 are being obligated at time of award. Space and Missile Systems Center, Kirtland Air Force Base, New Mexico, is the contracting activity (FA8818-18-C-0001).